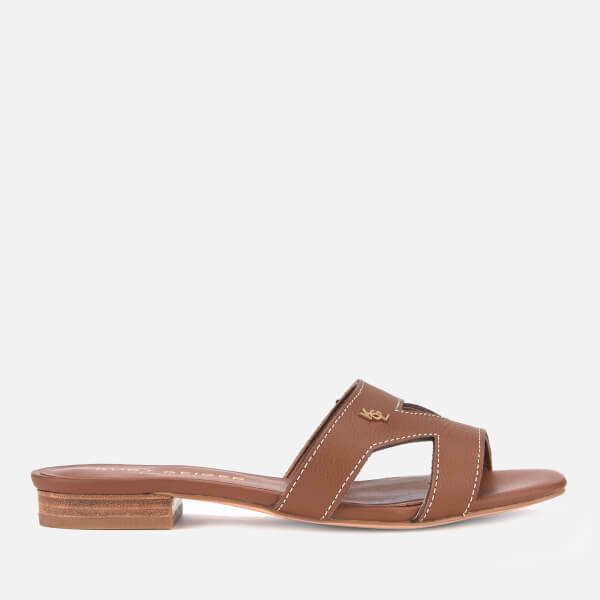 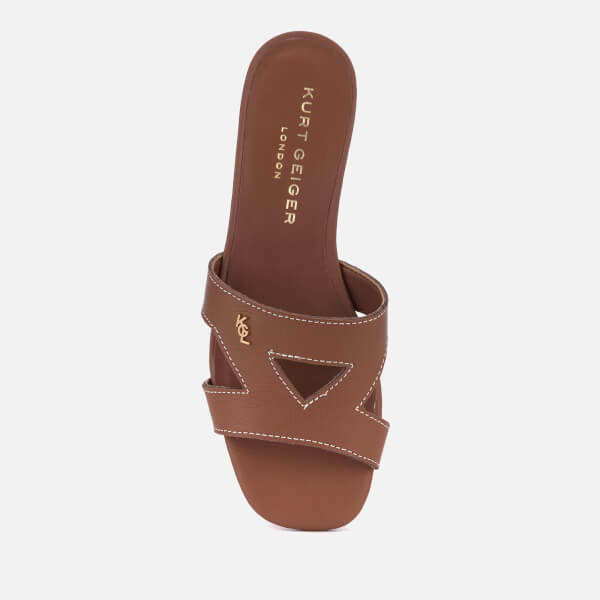 Kurt Geiger London flat sandals with tan grained leather uppers and a squared-off design. 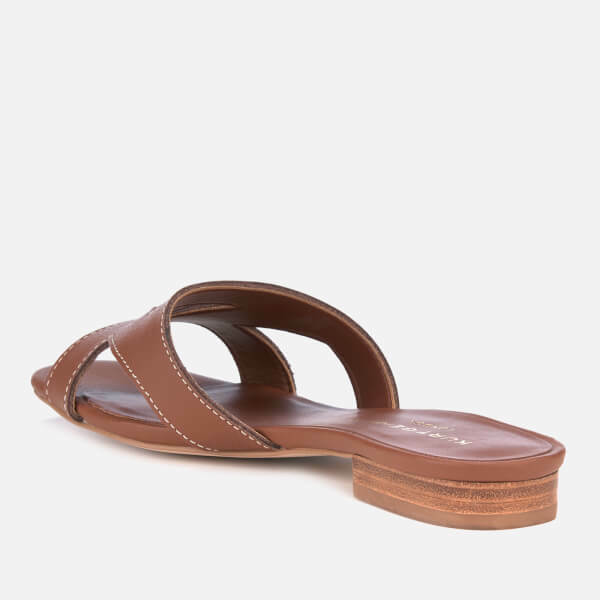 The ‘Odina’ mules are detailed with flattering cut out details, a flat sole and an open toe. 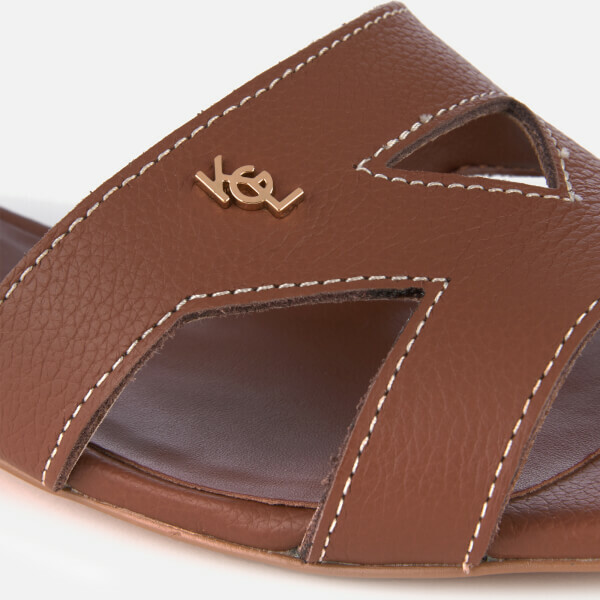 The flat sandals are finished with a gold-tone ‘KGL’ logo pin to the front.